How do I look at a graph/track map one step at a time? Sometimes, it is useful to view logged data one step at a time. 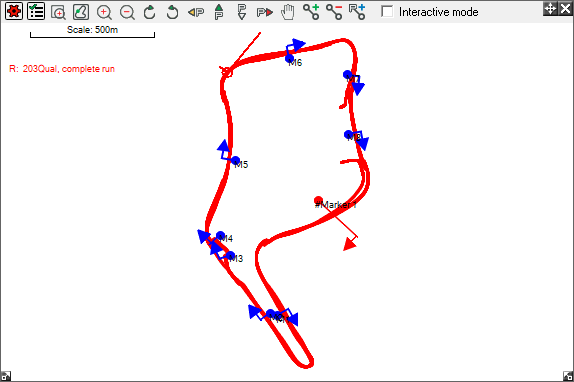 Load up a graph or track map of the data that you wish to analyse, and select the point that you wish to view in detail. 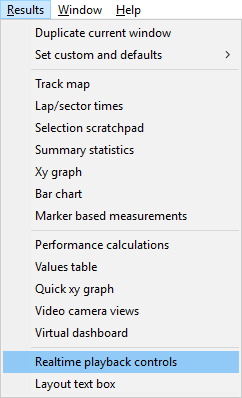 The data logged at this exact point on the graph or track map, can then be read on a values table. To view the changes in the data, step by step, enter the "Results" menu at the top of the screen and open up the "Real time playback controls". By pressing the appropriate button on the controls (as shown below), you can move forwards through the data one step at a time. To adjust the length of these steps, click the "Options" button in the top, left hand corner of the window, and then enter your preference in the "Step Size" box.. Decreasing the size of the steps will increase the level of precision at which the data can be viewed, and visa versa. 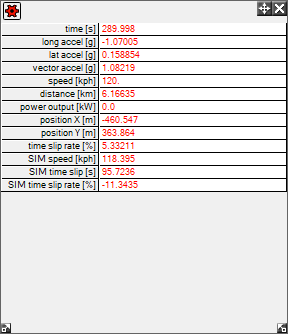 In this example, the data may viewed at increments of 0.01 of a second, as can be seen in these screenshots of both the "Real Time Playback Controls" and the "Values Table".